No matter how scenic the interior of the Coachella Valley is, local runners will tell you it is best experienced from above. And the easiest to access views are from the South Lykken Trail, which rises up from South Palm Canyon Drive in lower Palm Springs. Some sections are steep, with grades above 10%, so you’re in for a good workout, but this trail is flat and moderate enough to run on in most sections. The trail runs on for nearly 8 miles, but the best out and back for a run is about 3.5 miles roundtrip to the picnic area and back. 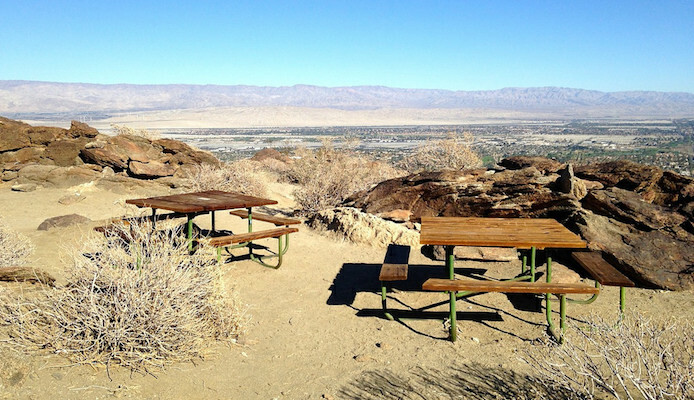 Stop at the top and be rewarded with astonishing views of Palm Springs sprawling below. Shade here can be sparse, so it’s best as an early morning or evening route.